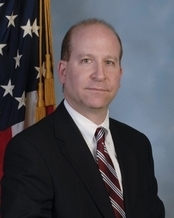 Adam S. Cohen, an 18-year veteran of the FBI with expertise in terrorism, is taking over the bureau’s Buffalo office. Cohen will replace Special Agent in Charge Brian P. Boetig, who will be working outside of the country, the Buffalo News reports. Cohen takes the helm in October, FBI Director James Comey announced Thursday. Cohen began his career with the bureau in the New York City office, dealing with international terrorism cases. Most recently, he served as section chief of the bureau’s Counterterrorism Internet Operations Section. Cohen graduated from Brandeis University with a bachelor of arts degree in American studies and Dowling College, where he earned a master’s degree in business administration. Posted: 8/21/15 at 8:52 AM under Milestone, News Story.